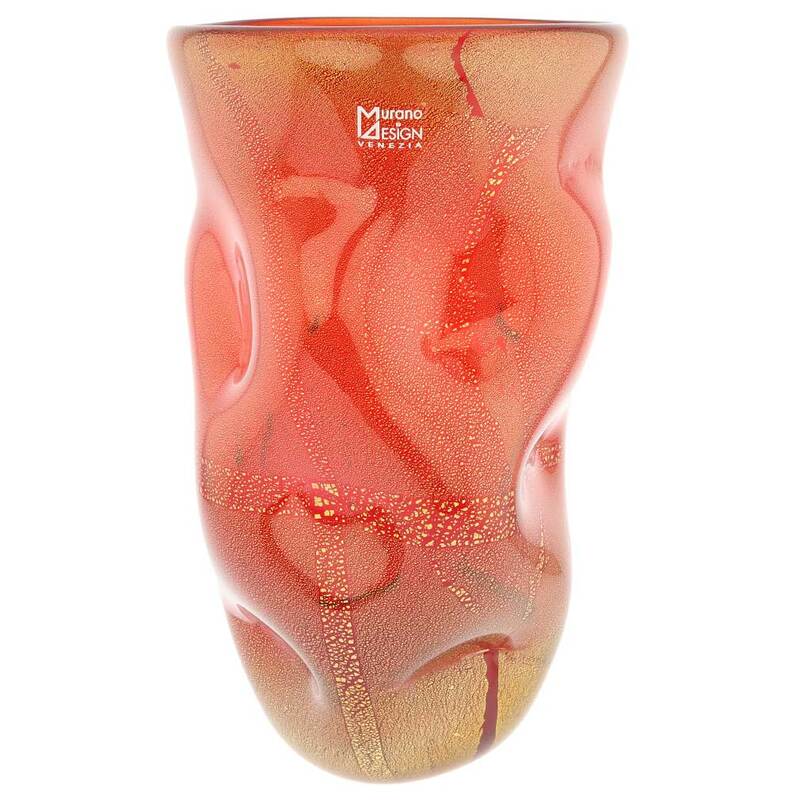 The elegant fluid shape and classic deep red color of this Murano Glass Vase accented by the shimmering gold leaf infused in the glass make this vase an instant conversation-starter. 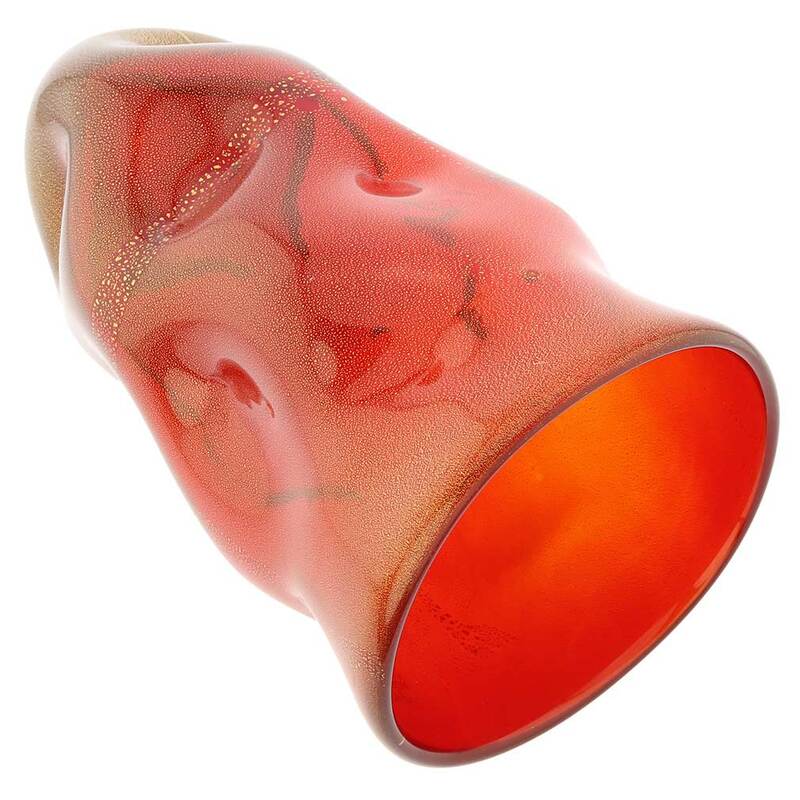 A unique material, Murano Glass starts out as a liquid that is shaped by hand and then solidified, allowing for incredible forms that seem to be moving and changing rather than fixed and lifeless. Old Murano Glass tradition, highest-quality silica from the Venetian Lagoon, and the exceptional skill of Murano Island's best glass artists and artisans make up the recipe for the enduring global fame of Murano Glass. 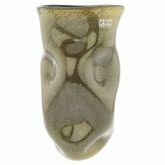 This Murano vase showcases the rare skill and imagination of the glass masters, who use complicated ancient techniques while adding modern influences to their creations to make the artistic glassware of rare beauty and elegance. 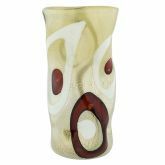 This Murano Glass vase is a gorgeous designer accent for your home and an amazing Venetian gift for special occasions such as birthdays, weddings, anniversaries, or career milestones. We weren't sure where we would put this wonderful big tall vase (important - most of the items aren't tall so if you need tall check it out) but we are sure glad we bought it. 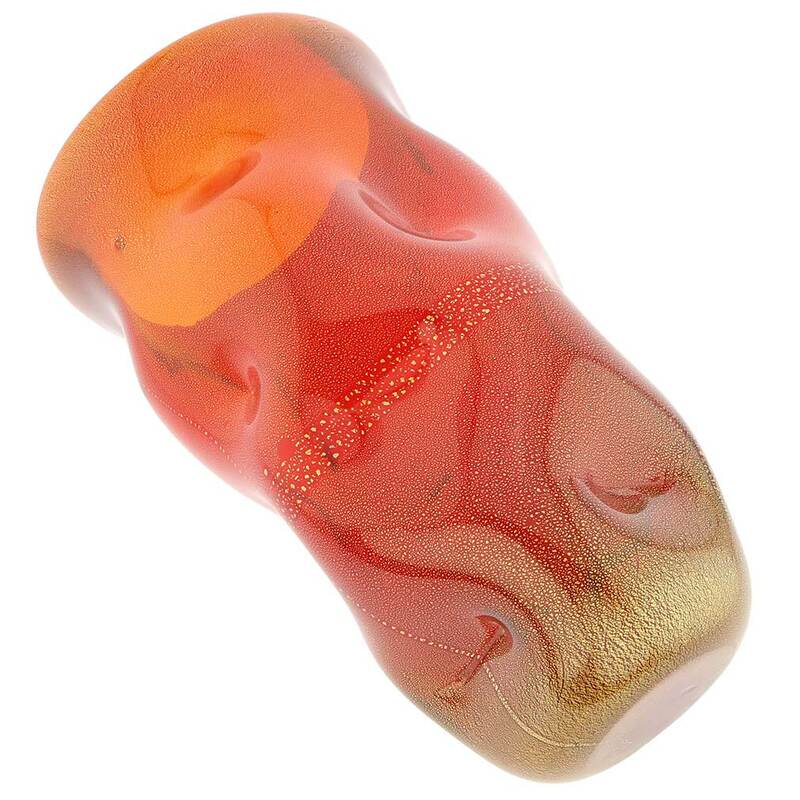 The orange color is classic murano and we love it.